The Canadian team competing at the 2011 Pan American Championships in Rosario, Argentina, have been racing with very fast skaters from the Americas. Canada’s women reached the goal of placing Canada in the top-10 Nations in points on the track in order to qualify for the 2011 Pan American Games. 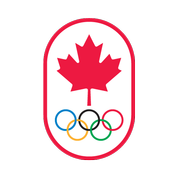 This means Canada will field a women’s team and no men’s team at the 2011 Pan American Games in Mexico this October. Canada’s women, Martine Charbonneau & Morgane Echardour, got the job done over the two days of intense racing on the 200-meter banked track. Unfortunately, Canadian skaters suffered a few crashes, with three of the five skaters going down on the second day of track racing. All three who fell are well. Steve Robillard, who suffered a concussion after falling at the end of his 500-meter heat, won’t be racing the road program or the marathon. Jade Pauley crashed early during the 15km elimination race while in great position near the front of the pack. This competition, which falls well outside of the Canadian racing season, saw the Canadian team having to adjust quickly to the heat as well as being on skates on an unfamiliar track. Two days of racing on a 200-meter banked track are now complete, and two days of racing on a road course remain. The road program is set for Thursday & Friday. The marathon will then take place on Saturday.